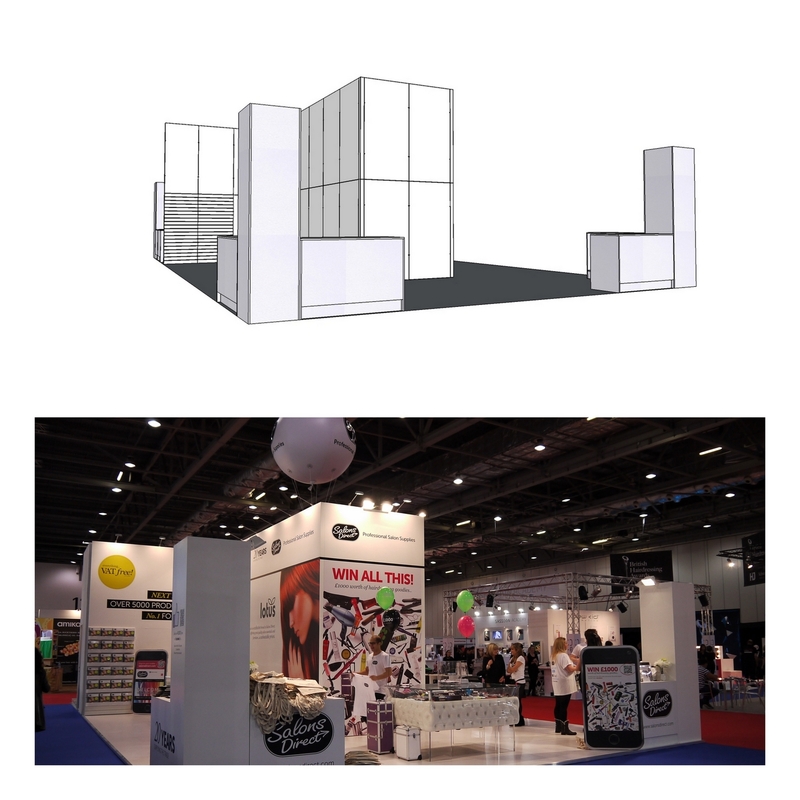 Professional salon suppliers, Salons Direct, approached Strata Panels for the Salons International Exhibition at Excel, London in 2012. They wanted an eye catching stand to reflect their position in the salons market to fit the 10 metre x 8 metre space they had booked. The stand featured C-Wall panels joined horizontally to create a height of 4 metres and a secure 2 metre wide x 7 metre long stock room. The stand was covered in full height full colour graphics to make a bold statement and was completed with retail counters, towers and a variety of MDF plinths all built and painted by Strata Panels UK. Delivery and assembly throughout the UK.